political source revealed, Sunday, political pressure being exerted to end the privileges of the House of Representatives to cancel the claims, noting that the voices were calling for the abolition of the House of Representatives privileges disappeared because of those pressures. "There are agreements between influential forces in the House of Representatives to end the demands to cancel the privileges of the members of parliament that were granted to them at the current session," a Gulf newspaper quoted the source as saying. 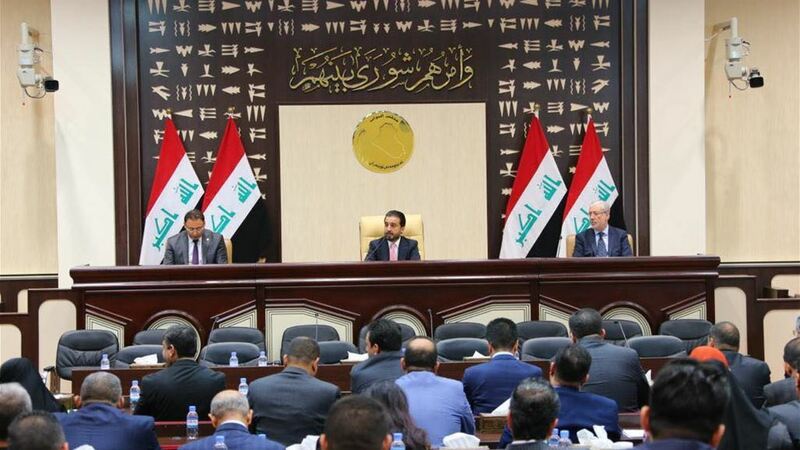 "Political blocs and deputies have made great efforts over the last period to silence votes Calling for the rejection of a decision to the presidency of the current parliament, after taking office about four months ago, which gave each member of parliament a monthly rent of three million Iraqi dinars (equivalent to $ 2500) in addition to their salaries. The source, who asked not to be named, said that "the voices that were demanding the abolition of the privileges of deputies, disappeared because of the pressure on them," pointing out to "obstruct the efforts of some parliamentarians, who were intended to collect signatures in order to reduce the privileges of members of the House of Representatives." The source ruled that "the question of rent for deputies is being raised, because of the existence of political agreements on them." In November last year parliament speaker Mohamed Halboussi defended his decision to pay rent to MPs, arguing that the salaries of parliamentarians who come from outside Baghdad are not enough to rent houses in the capital.